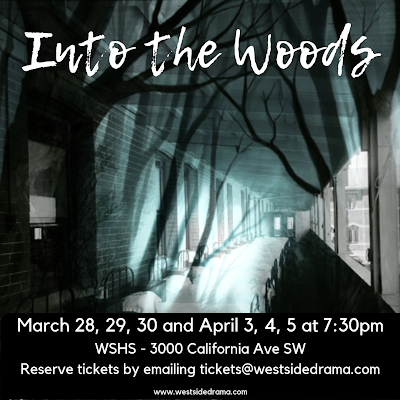 At WSHS we have a long tradition of collaborating with the Drama Club to stage high quality musicals. In the past few years we have produced such musicals as: Chorus Line, Bonnie & Clyde, The Addam's Family, The Pajama Game, You're A Good Man Charlie Brown, 25th Annual Putnam County Spelling Bee, Bye Bye Birdie, Oklahoma and many more. We believe that students should be involved in every aspect of creating a theater production. That is why we don't just have students on stage as actors, but we also have them involved as stage hands, stage managers, building sets, working the sound and lighting booth and providing the music support in the pit orchestra. We strongly believe that students involved in this process receive some of the highest level musical skills available to a high school musician. Students are selected from the Band, Orchestra and Jazz ensemble to fill the positions needed for the pit orchestra. Rehearsals begin in February with opening night in early April.